India is a country that is widely acknowledged for its diverse cultures, historical places, hill stations and coastal areas. From snow clad mountains in north to exotic beaches in south or from tea gardens in east to wildlife in west, exploring this domestic reign is a dream of many. Do you want to experience amazing luxury holidays in Himalayas? Well, book the best tour packages from our huge catalogue of holiday and travel packages. If you are among one of them and looking for some beautiful place to visit, then donâ��t bother yourself and simply opt for our domestic tours. India Reisebuero Pvt. 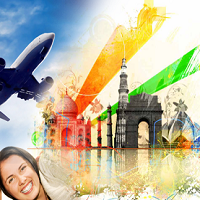 Ltd is a New Delhi-based company that organizes the best and affordable tours. Our tour packages covers Himachal, Delhi, Gujarat, Rajasthan, Goa, Karnataka, Kerala, Varanasi, and other areas. With us, you can book exceptional luxury Kerala holiday tour packages.